One Million Moms in Bed with…?? Find Youtube Version of this Article Here. The Ellen DeGeneres-J.C. Penney haters group One Million Moms are closer to 40,000 moms if Facebook “likes” are any indication. I do not “like” them. One Million Moms is an arm of the American Family Association founded by Donald Wildmon. If ya don’t know who THEY are Google them AFTER ya leave here, ok? It is safe to say that Donald Wildmon’s American Family Association is an extremely right-wing fringe group with a great many supporters. 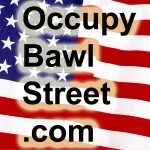 To be fair, OccupyBawlStreet.com is admittedly right of center on many issues. For example we truly dislike the Occupy Movement and mock them at every chance. However, the very idea that Ellen DeGeneres should be denied an employment opportunity as spokesperson for J.C. Penney because she’s gay should give all fair-minded Americans pause to reflect. Taking the position that because J.C. Penney employees a spokesperson who happens to be gay, that J.C. Penney is thereby promoting what some believe to be an unacceptable alternative lifestyle is simply ridiculous. Our position here at OccupyBawlStreet.com is that gay people are Americans first just like the rest of us and thereby entitled to the same capitalist opportunities all Americans enjoy. I have no doubt that I will lose followers on the various social media sites because of my position but I simply don’t care. I am more interested in doing and saying the right thing then in pandering to certain groups as many politicians seem to be doing lately (lately??). Yes, I do continue to support Newt Gingrich in the Republican primaries but that doesn’t mean that I agree with everything he stands for. Listen, gay people have been an integral part of humanity since the days of Adams and Eve (Ok- maybe not THAT long- the story goes that it was just Adam and Eve in the beginning before all that begetting…, right?). Gay folks are our brothers, sisters, mothers, fathers, uncles, aunts, cousins, friends, co-workers and next-door neighbors. I wish that all the “gay-hater” energy that folks expend getting nowhere, much like a hamster running on a wheel, could be channeled into more positive pursuits. OccupyBawlStreet.com proposes that all anti-gay folks volunteer one single day with Habitat for Humanity. Yeah, I know that I suggest the same thing to those dang dirty Occupy hippies but Habitat is a good organization doing good things for deserving folks. Let’s stop hating people just because they are gay. BTW- is this article’s title too sarcastic?? So, if ya want to, leave a comment, just watch the language, eh? Please feel free to share this article if you deem it worthy. Thanks for stopping by! This entry was posted in Commentary, Society and tagged culture, blog, opinion, media, 1 million moms, one million moms, donald wildmon, american, OccupyBawlStreet.com, family association, oreilly, bill o'reilly, ant-gay, gay, gay haters, gay bashing, lgbt, penny, pennys, j. c. penny, right-wing fringe group, right, wing, fringe, update, latest, latest news by obs. Bookmark the permalink.